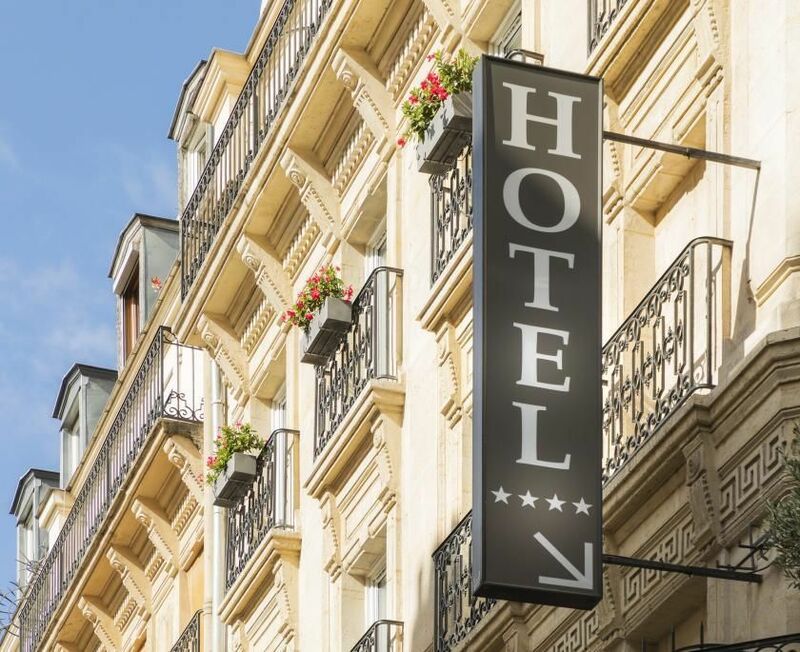 The Gardette Park Hotel is nestled in a green area in front of the square Maurice Gardette; you will forget, the time of your stay, the bustle of the capital. The 40 chic and sophisticated rooms will immerse you in a warm and intimate atmosphere. 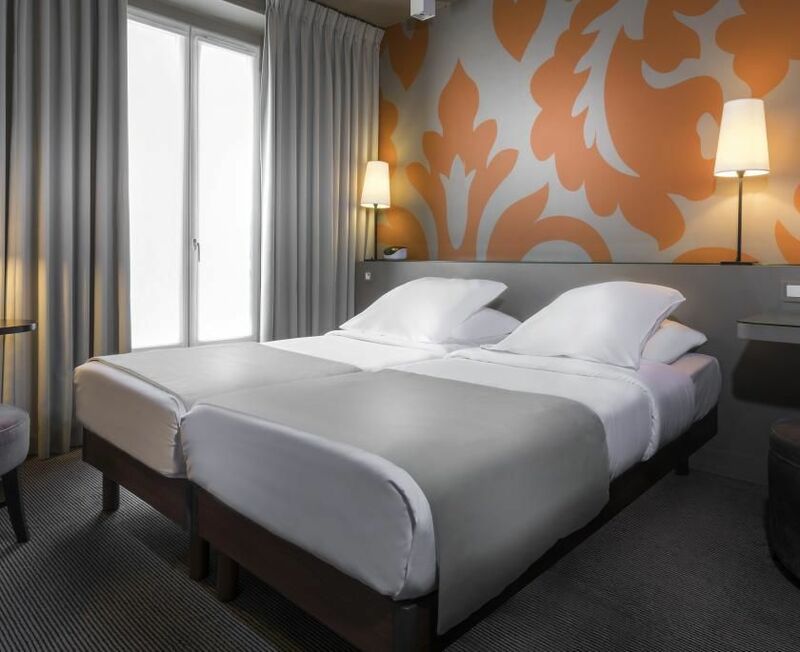 This 4 * boutique hotel is located in the 11e district of Paris, in a typical Parisian neighborhood between Bastille and Republique. Thanks to its ideal location, you can reach by feet the old village of Belleville, the Père Lachaise Cemetery and the trendy Marais district! You have many public transportation options as well, to easily reach the best touristic Parisian spots! 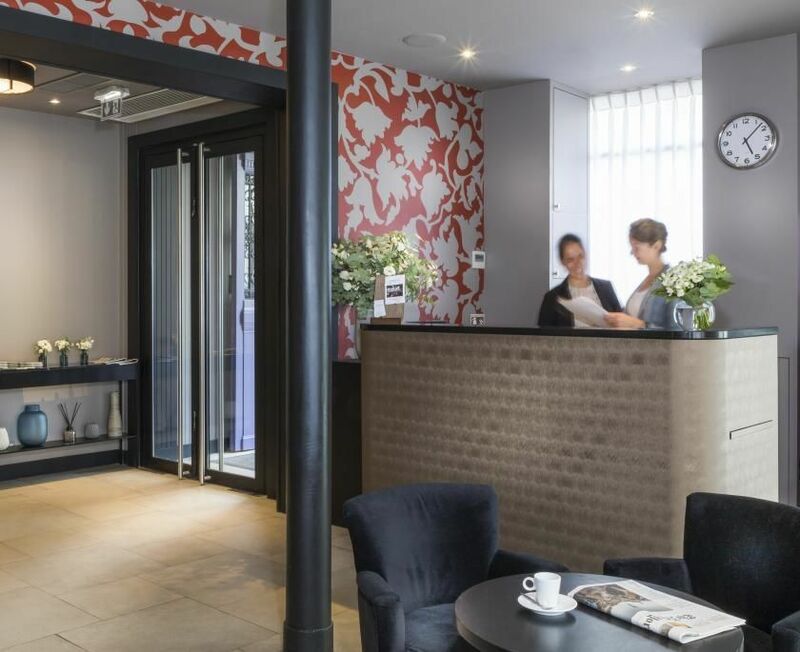 We are nevertheless within walking distance of such Paris classics as Bastille and Place des Vosges (16-18 minutes), and the whole of the trendy Marais district. République is just 3 metro stops away from our nearest station, Saint-Ambroise. Here you can stroll along the Canal Saint-Martin, a pleasant, bucolic walk. Or take a cruise from Bastille to La Villette through the canal’s underground section. Our staff will give you a warm welcome at our reception desk, open 24/7. The conciergerie/ticket desk can help with reserving shows, taxis or restaurants. Our team will be happy to assist you in English, Italian, Spanish as well as French. 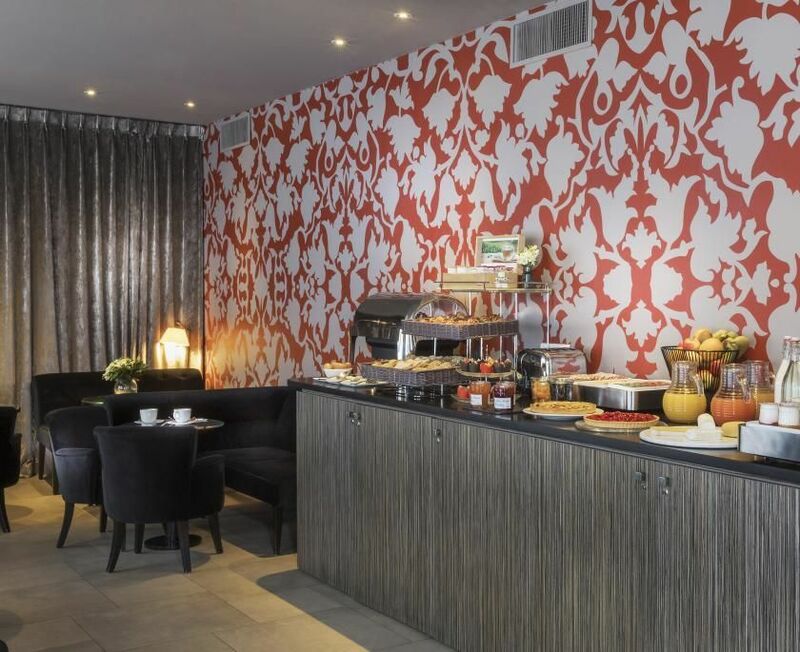 A plentiful hot and cold buffet breakfast for topping up your energy levels before visiting Paris or going to work. We offer a selection of hot drinks and fruit juices with French pastries, a range of breads, honey and jams, cereals, fresh seasonal fruits, fruit salad, dried fruits, yoghurts, cheeses, hot dishes, delicatessen. Our boutique hotel was entirely redecorated in 2012 by Kerylos Intérieur. 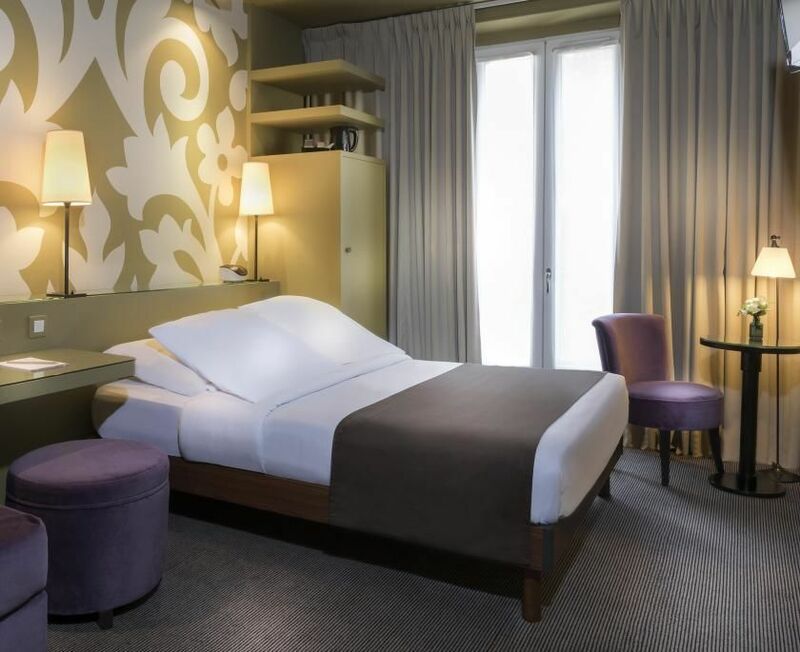 Its founder, Didier Benderli, delivered the highly personalised artistic design for which he has become known in upmarket Paris hotel and restaurant circles. A recurring feature is the single wall in a bold leaf or flower pattern, echoing the park behind the hotel. And wonderfully bright colours are used with circumspection, the better to appreciate them.